There are so many restaurants to choose from at Walt Disney World. Every trip we try to visit new restaurants that we haven’t dined at before. Our list is growing pretty huge, and are well past having tried more than half the restaurants at Walt Disney World. We dined at five new table service restaurants this trip, but we actually only loved two of them. For a pair of foodies, this caused us instant regret, but, this is not a #stinkydiaper review! We have wanted to get a reservation at Teppan Edo in the Japan Pavilion at Epcot for several years. Two years ago we got one at Tokyo Dining, thinking it was Teppan Edo and loved it, but this time there was no mistake! This was such an enjoyable and entertaining experience! During our visit we found ourselves in the midst of the International Food and Wine Festival. We couldn’t resist winding our way through each and every kiosk, trying something from nearly every single one. When we made our way back through to the Land portion the kids were tired and they were begging to please go on some rides! They wanted Peter Pan and Haunted Mansion, but of course neither of those options were available at this park. We made our way to Figment, and then over to Soarin’, Nemo and Friends, and Spaceship Earth until it was time to head back to the World Showcase for our Fastpass+ for the Frozen ride in Norway. Of course, first we had to meet Anna and Elsa, and then ride the ride, and then we had to rush to dinner because our MO is being late to everything. That’s the price you pay trying to squeeze in doing every single thing because you don’t want to miss any single thing. Having just visited Japan in May, dining at Teppan Edo was a special treat. This place reminded us a lot of Onokomi Yaki in Hiroshima. The table is shared with the 500° grill, and the grill is hot. You can literally feel the heat coming off of it; combined with the Florida heat it is sweltering. We were greeted by our server who took our drink and meal orders, and after a few minutes our chef came out to meet us. Her name was Asumi. She is at Epcot for one more month on a work exchange Visa having worked at Walt Disney World for the last 11 months. She was born and raised in Tokyo, and before coming to Walt Disney World, she used to work at Tokyo Disneyland at the Disneyland hotel! 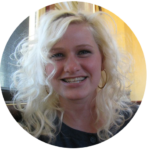 We loved listening to her take on Tokyo as a native and all the things we need to go do when we visit again. She was a terrific chef! 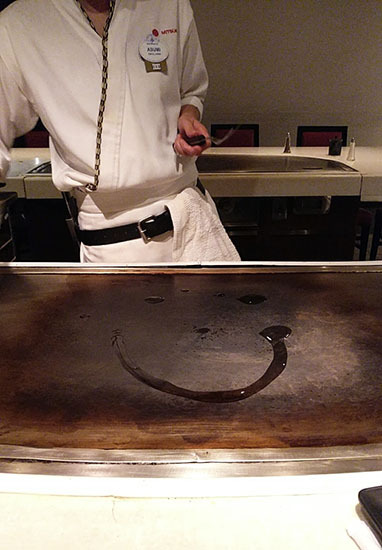 She flipped her tongs, made smiley faces and Mickey heads with the oil on the grill – in fact, she made Mickey faces with everything from our drinks to the shrimp. After finding out our daughter’s favorite movie is Frozen, she made Olaf out of onion rings and carrots which she then turned into a smoking volcano. She trimmed off the shrimp tails and then flipped them up into the air and caught them in her toque. She chopped up the food for the kids into bite size pieces, while keeping up a riveting conversation and she grilled everything to perfection. The menu is fairly straightforward. There is a selection of sushi choices (not included on the dining plan) and noodles and vegetables served with your choice of meat. I chose the shrimp and chicken, and Gabriel ordered the steak and shrimp. The shrimp was cooked just so, and was a perfect accompaniment to the noodles and vegetables. I could have done without the chicken, but I shared with the kids and they enjoyed it. We also ordered the Volcano Roll, which is a california roll served with grilled scallops and a very spicy fire sauce. This was the best part of the meal. Dessert was a selection of three types of cakes, or soft serve ice cream. 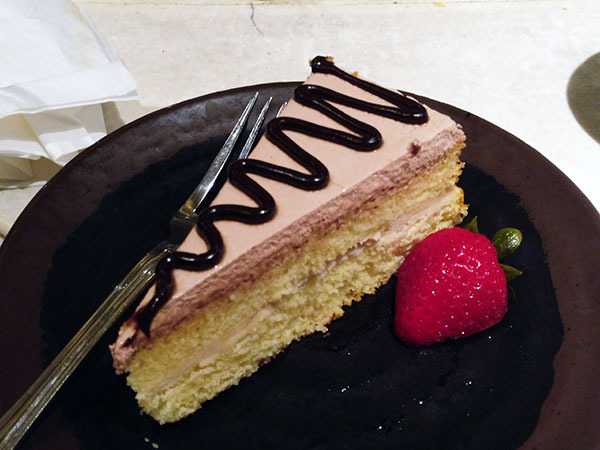 Gabriel ordered the mango and white cake, and I chose the ginger and white cake with a chocolate ganache frosting. Both were excellent, but mine was better. It has just the right amount of kick. 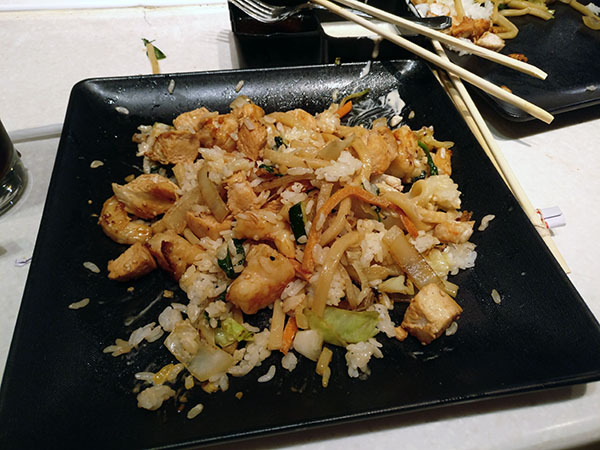 ► For Kids: Teppan Edo is a fun restaurant where the whole family will be involved. The kids will love the creations the chef makes as the food is grilled, and the chef will include them in the festivities. Do you love sweating while you eat hot food? This place was so great, we didn’t mind one bit! 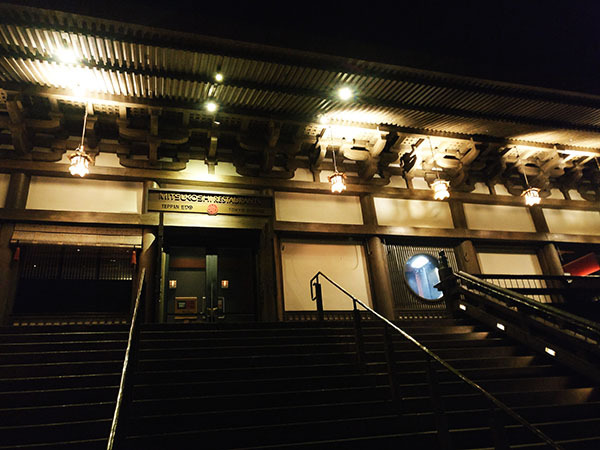 What do you think of Teppan Edo style restaurants? Yay or nay? We want to hear your opinion! ► Nap-Time Version: A #cleandiaper review of Teppan Edo – a Japanese dining table service restaurant at Epcot in the Japan Pavilion in the World Showcase. 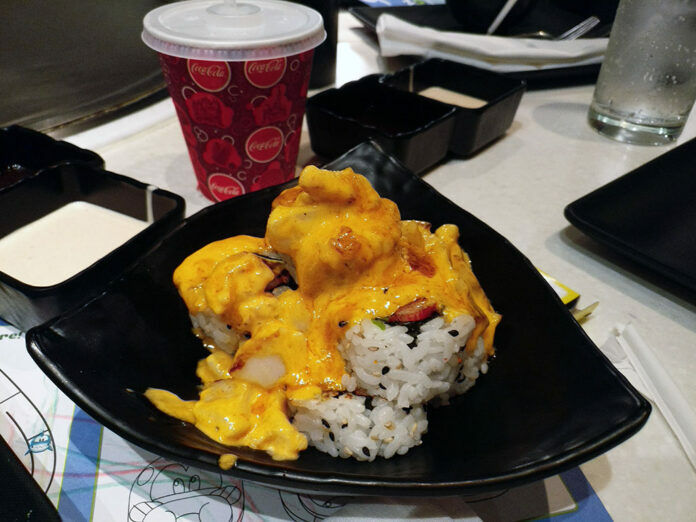 Check out our other reviews of restaurants in the Japan Pavilion including Tokyo Dining and Katsura Grill, plus all our Walt Disney World Disney Dining reviews.